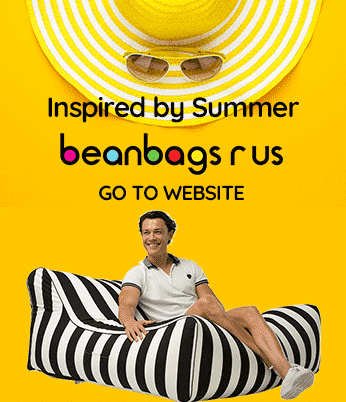 Bean bags are no longer relegated to the category of novelty furniture and game accessories as they have been for several decades. Studies and real-life examples are proving that they have therapeutic qualities and can be used as tools in the workplace and in schools. Teachers in classrooms around the world are beginning to employ kids bean bags in several ways. Educators, school administrators, and psychologists are discovering that they can help children feel welcome and comfortable at school and can improve their academic results. Also, bean bags can improve coordination in youths and teach them the fundamental skill of using teamwork to achieve goals. In Australia, several primary schools are banishing the desks and chairs of traditional classrooms replacing them with bean bags for kids, open booths, collaborative tables and floor space. This new system was inspired by Professor Stephen Heppell, an international expert in educational areas. Professor Heppell believes in his work and hopes that the paradigm will catch on and be implemented in schools worldwide. One of the early adopters of this new design in classrooms is Quakers Hill Public in Sydney. Approximately 60 per cent of students who were taught in the redesigned classrooms has earned a place in one of the city’s prestigious schools after taking the Selective Schools Exam. Lyndall Droscher, deputy principal of Quakers Hill Public, was in agreement with Lo Campo about the enthusiasm of the parents and stated that 117 parents attended the school’s technology workshop when they had only expected 20. “It blows me away they were so committed to their children’s success,” Droscher said. The bean bag classrooms have been so effective that teachers across New South Wales have started to lobby the Education Minister, Adrian Piccoli, to allow them the flexibility to adopt similar designs.“Teachers tell me they want greater flexibility in delivering lessons, and the way classrooms are designed has an impact on that,’’ said Piccoli. Professor Heppell states that students are more receptive to learning and display more positive behaviour patterns when they are in, what he calls, borderless environments. Borderless environments allow them the freedom to collaborate in small groups while sitting or standing. Another school that has adopted borderless classrooms is Busby West Public, which has eliminated its traditional desks and chairs in favour of bean bags and pods that can accommodate several students. Seven Hills North has also been focusing on new technology, and educational innovations and the school recently received commendations from the Australian Curriculum, Assessment and Reporting Authority for the academic improvements of its students. Kate Pugh, the Principal of Seven Hills North, stated that the public has shown serious interest in the school ever since the reports were released. Kate also mentioned that the real secret to the school’s success was implementing technology that gives students control over their educations. Professor Heppell recently visited Sydney to hold a lecture that was attended by representatives from more than 30 schools, and the focus of the lecture concerned how to advance the learning process through 21st-century technology. Students in Rome, Georgia, in the U.S., are welcomed back to school with open arms, gifts and extra comforts, including bean bags. In the week before school began for the year, teachers were preparing their classrooms and adding a few special touches so they would feel relaxed and more receptive to learning. One teacher, Mary Hunnicutt, said that the children should feel as comfortable as possible because the children are at school for a long time. The media specialist at Pepperell Middle School, Stephanie Cox, spent more than a week redecorating the school’s library. She had the walls repainted in the school colours of black, white, red and gold, and the school symbol, a red dragon, can now be seen above the bookshelves as students enter. She also hung new curtains on the windows, which displayed the school colours. However, one of her proudest achievements is the addition of three bean bag chairs at the entrance of the library that features the school mascot: the Pepperell Dragon. The kid’s bean bags were custom made and given to Pepperell Middle School by a friend of the principal. She hopes that by fostering a sense of pride in the school, children will be more receptive to learning and making a positive impact on the community. Is This the Coolest Office on the Planet?